Wheels. They’re a big decision. Hundreds of styles, materials and construction. Style over substance or substance over style. Where do you start? 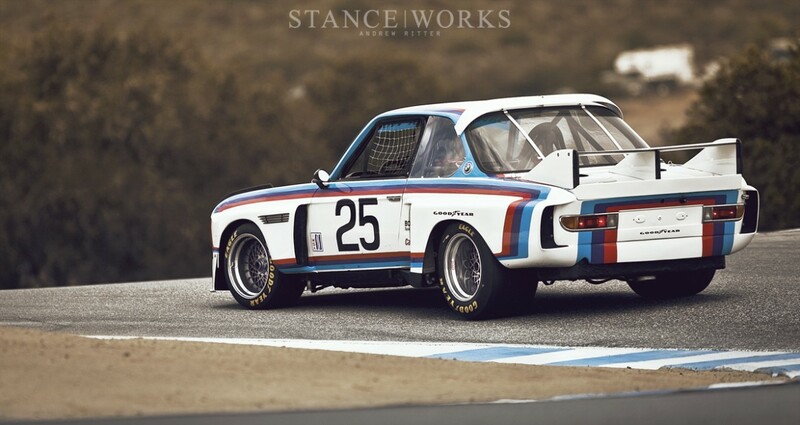 The remit for the ’73 BMW 2002 is simplified motorsport with quality materials. The cabin needs to be a pleasant place to spend time behind the wheel, while maintaining the purposeful nature of motorsport functionality. Applying this philosophy to wheel choice, keeping authentic, there is only one real choice… BBS. BBS Kraftfahrzeugtechnik was founded in 1970 by Heinrich Baumgartner and Klaus Brand in the city of Schiltach, Germany (giving the origins of the name; Baumgartner, Brand, Schiltach). 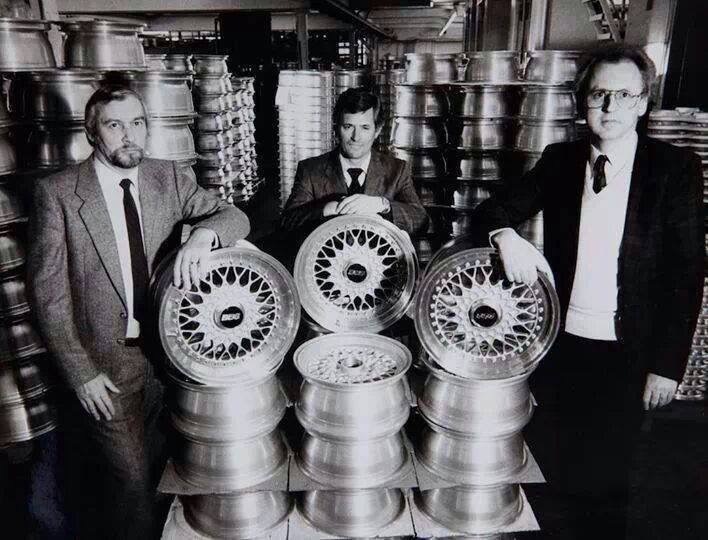 In 1972 BBS pioneered the revolutionary three-piece wheel design for motorsport. This allowed for a much lighter wheel. Lowering rotating mass and unsprung weight giving the performance advantage of improving handling and acceleration. The other key advantage for a race car is the ability to replace damaged wheel components, the three-peice designed meant a damaged rim could be replaced without the need to replace the whole wheel. Now the issue is BBS E50s are rare, like chickens teeth rare. 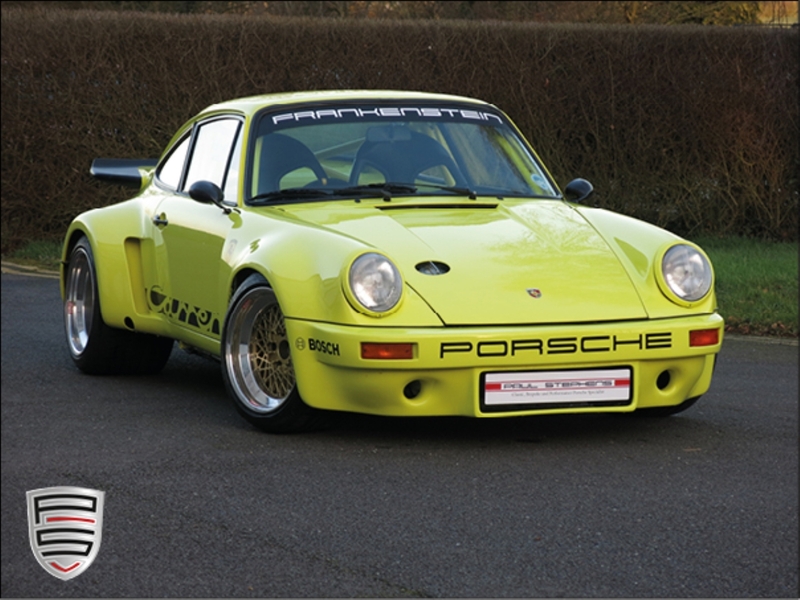 You often see them gracing super-wide, super-low Porsche RSR replicas (image: Porsche RSR from Paul Stephens.) Trying to find them in the right size and for sale without damage is not an easy task. They occasionally come up on auction sites, but it’s a lottery knowing their history. 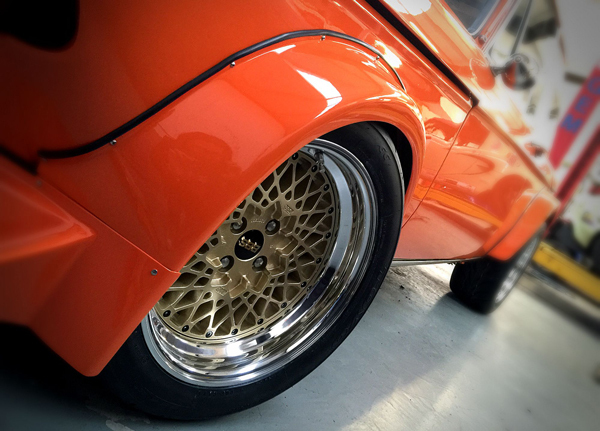 Fortunately, it turns out that BBS have started making the classic wheels again. Due to the demand for the retro look they have put the E50 back in to production. Putting a call in to BBS it soon became clear that the timing was terrible. March is one of their busiest times of the year, demand increases dramatically due the impending race and car show seasons. Lead times are long, minimum ten weeks, which would mean missing the 2002’s first road trip to the Nurburgring at the end of May. There had to be another way. Enter the Low Collective, legends in stance and wheels. If anyone knows anything about getting hold of special wheels, it’s these guys. They have their own show each year dedicated to the art of stance. It might not to be everyones taste, but you can’t ignore the dedication and detail that is poured in to the cars. The amount of effort it takes to build the mesmerising smoothed engine bays is fascinating, you can spend hours just staring open-mouthed at the endless finesse. Amazing work. The LoCo guys put me in touch with Mark Ikeda who turned out to be the man that could make it happen. The first step was working out exactly what size wheel would fit and look the part. One major issue with the [CarCrazedFool] BMW 2002 is all of the custom work, nothing is standard. The rear of the car supports a custom E30 subframe and differential. The advantage of this modification is the power that the E30 diff can take, we’re anticipating the car to get over 400 Bhp once it’s complete, so it’s got to be able to take a pounding. The disadvantage, however, is the affect on ground clearance, this means that once we fitted the new Group 2 arches, we had a lot of air gap to fill. Mark came down with a spare wheel to offer up on the car. With air to take up, the decision was to go bigger, settling for 16″ with 8J up front and 8.5J at the rear. The extra width giving us a little more rubber in contact with the tarmac. It’s going to be fun seeing just how much grip that extra width provides, hopefully not too much! The other decision was tyres, the [CarCrazedFool] 2002 is being built to be driven hard, it’s function over form, so the decision was to go for a size that would give a very square, rim protecting edge. I’m very happy with the look. Think ‘Old School’ race car. Here’s the final result. Thoughts?